ALISTAIR Coe and Jeremy Hanson say eight Rapid bus routes across Canberra, City to Airport bus services and faster non-stop suburban bus services to the major central work hubs are just some of the features of a Canberra Liberals government’s plans for the future of public transport in the ACT. “Today we are announcing the biggest public transport reforms in the history of the ACT. Our plan wills serve as the blueprint for the future of public transport, for all Canberrans,” Alistair said. “Bus public transport has great potential in Canberra and we want a network that services as many Canberrans as possible. A better fit-out for new buses focusing on accessibility and comfort as well a new colour coding system. Eight separate Rapid routes; including an airport service. Late night services on Thursday, Friday and Saturday nights. Faster services including non-stop services to reduce peak hour travel times. A trial of electric buses with a view to the establishment of a fleet of electric vehicles. A new Parkway Express linking Woden, Belconnen and our major hospitals. “There are also plans to upgrade bus stops with all weather shielding and real time information displays, trial electric buses and enable MyWay cards for other purchases,” Mr Coe concluded. “The Canberra Liberals’ vision for public transport offers much better access and timeliness for all of Canberra as opposed to Andrew Barr’s light rail which will only service a fraction of the population,” Jeremy said. “Canberrans have a genuine choice at the next election, our enhanced bus network with better services across all of Canberra or Andrew Barr’s unaffordable and unviable trams,” Mr Hanson concluded. The Canberra Liberals have shown just how out of their depth they are when it comes to public transport with their announcement today that is massively under-costed and will only lead to more congestion on Canberra’s roads. Minister for Transport and Municipal Services Meegan Fitzharris said the first step in their plan is to spend hundreds of millions of ratepayers’ money on nothing by cancelling the light rail project. 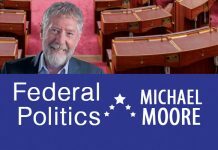 “What the Canberra Liberals won’t admit to is that by tearing up the light rail contracts, for a solution committed to before the last election, they will actually be spending hundreds of millions of dollars on nothing, including handing back $60 million to the federal government. “The real solution for Canberra is an integrated transport network, which the ACT Government is delivering for our growing city. “The ACT Government is establishing Transport Canberra on 1 July. Transport Canberra will focus on making the customer service experience even better with more transport choices as our population hits almost 500,000 people by 2035. 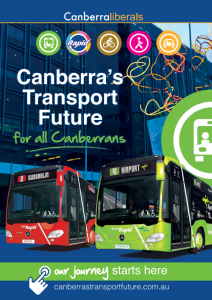 “Transport Canberra will also be responsible for integrating buses with light rail, taxis, car sharing and active travel, and ensuring a single ticketing system, a central contact for information and coordinated timetabling. And we are investing in an electric bus trial already. Minister Fitzharris questioned the Canberra Liberals’ figures and said with no patronage figures or plan for bus priority around Canberra, more buses will simply mean more congestion on our roads. “We estimate that the Canberra Liberals plan would actually require hundreds of new buses, more depots and cost hundreds of millions of dollars to implement. Then you have to factor in costs of setting up the depots, maintenance costs, staff costs, dead time running costs, costs of free travel after every eighth trip and costs of running very frequent buses on eight rapid routes. It’s easy to see that their figures don’t add up. “This is on top of the current costs of running the ACTION network, and the increasing costs of congestion around Canberra which is tipped to reach $700 million by 2030. Their plan must be to cut local services and push up fares, and I think Canberrans have a right to know how much fares will go up. “I’m also surprised they still have no plan for Northbourne Avenue, our most congested route, which will be transformed by light rail but left to perish by the Canberra Liberals. “Then there is the lost opportunity costs associated with urban renewal and investment along high priority transport corridors. The facts are clear that light rail routes encourage renewal, investment and economic activity. The Canberra Liberals ignore this proven link. “The Canberra Liberals’ plan doesn’t address congestion on our roads and spends millions on nothing. Only ACT Labor has a real plan for an integrated transport network for Canberra that improves the way we move around our city,” said Minister Fitzharris. The Labor Government’s amateur and discourteous response to the Canberra Liberals comprehensive transport plan is every disappointing. On one hand Andrew Barr says he welcomes the discussion and on the other Megan Fitzharris tries to stifle debate with tired old lines which are unsubstantiated. Canberrans deserve better on this most important issue.